Looking to inject some fun into your holiday dècor? How about inviting Santa's helpers to your festivities? 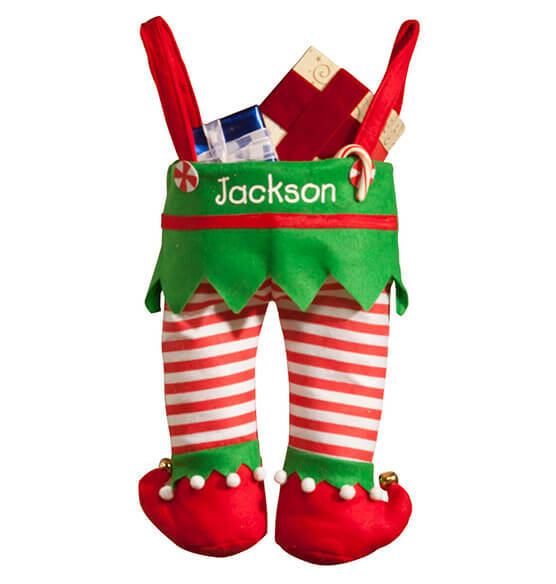 Our personalized elf pants stocking looks like the merry pants Santa's helpers wear ... right down to real jingling bells on pointy elf toes! Designed in soft felt fabric, our Christmas stocking boasts fancy pom-pom details, candy-striped "buttons" and little elf suspenders for hanging. 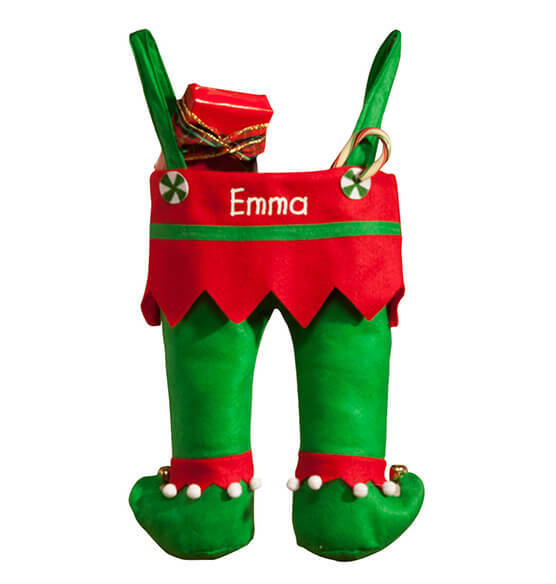 Like all good elves, they're dressed in festive holiday colors of traditional red and green, making these stockings a charming accent to display near your decorative Christmas tree, wreathes and other traditional decorative items. 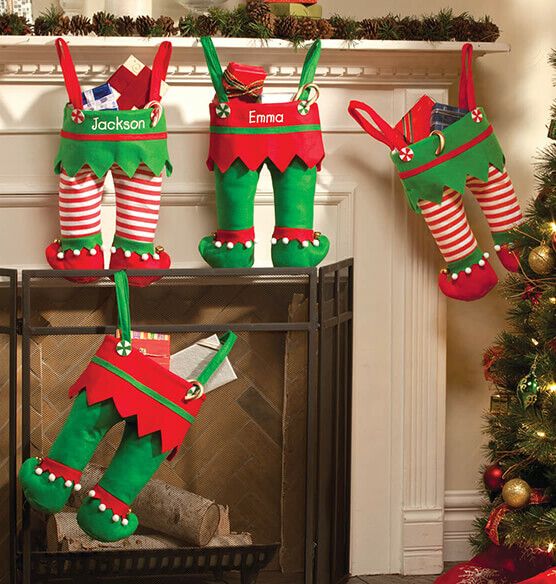 Each stocking is roomy enough to hold candy, trinkets and small gift boxes or packages. Choose from 2 festive styles—and let our elves add one special name for a keepsake gift. Specify style: striped or plain. Specify name; limit 1 line, 10 letters/spaces. 6" long suspenders; 20" long x 10 1/2" wide overall. 100% polyester with metal jingle bells. I love anything cute & whimsy so I just bought this for my daughter in hope she makes it down here to Florida this year for Christmas.